Kristen Rozanski is an actress and writer and an all around indoor kid. Acting credits include Ugly Betty (ABC), Law and Order (NBC), Law and Order: SVU (NBC), Birthday Boys (IFC), Comedy Bang Bang (IFC), Adam Ruins Everything (TRUTV), The UCB Show (SEESO), I Ship it (CW SEED), Abominable’s Filthy, Preppy, Teen$, as well as several videos produced by Funny or Die, College Humor, Nerdist, and Cracked. 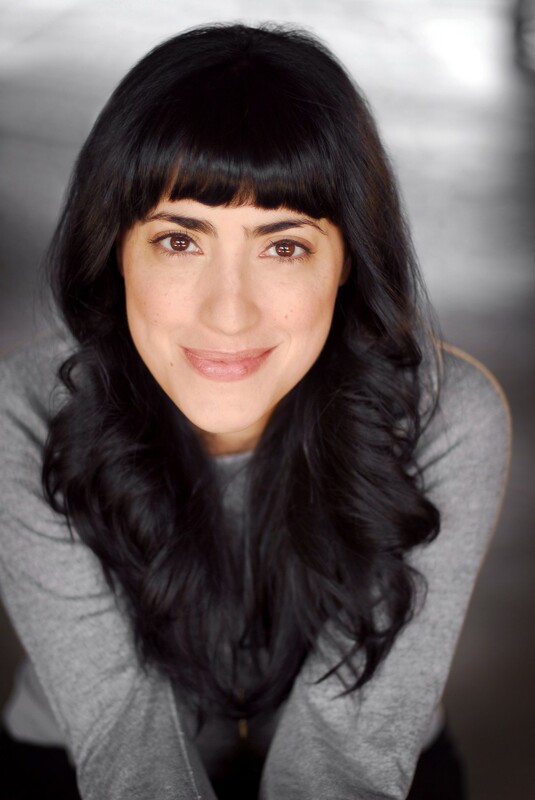 Favorite theater credits include Into the Weeds: The Bill Weeden Songbook at the Laurie Beechman theatre (NYC), Fahrenheit 451 at 59E59 (NYC), the world premiere of Trick Saddle’s Wickets at 3LD (NYC), Guys and Dolls at Teatro Politeama (Palermo, Italy), and her solo show Kristen Rozanski has Womanly Attributes at UCB (LA), where she is a regular performer. She performs regularly at the UCB theater in LA. She’s happy to return to FringeNYC after receiving great reviews in 2010 for her performance in another of playwright Meghan Gambling’s delightful plays, Happy Birthday, Mom. Kristen is referred to as “out of touch” by teenagers for preferring Twitter over Instagram. Emily Jordan A native Georgia Peach, Emily Jordan has since moved to Los Angeles where she continues her acting and dancing career. Emily was smitten by acting very young and her first role was in The Sugar Creek Gang when she was 8 years old. She has since been fortunate to continue working as both an actor and dancer in TV, films, and commercials. This is Emily’s first play and she is thrilled! The cast and team behind this show is nothing short of spectacular and their hard work and passion brings this show across the country. Emily is humbled by the opportunity to work in New York City and is excited to share the message of love, forgiveness and family in Bonnie’s Future Sisters. Emily would like to dedicate her performance to her two loving parents, who have given everything to support her, and her sister who is her number one fan. Although you might recognize her face from MTV's Road Rules and the Real World/ Road Rules Challenge: The Gauntlet, Sarah has worked on numerous commercials (for Home Depot, Best Buy, GE, and Honda to name a few), films, and pilots, and even had a hand in directing a production of Wendy MacLeod's "The House of Yes." After such a successful run of "Prom: Time Out" during The Car Plays at Radarfest LA and subsequently taking home the Best Actress Award at the Berg Film Festival for the film version, she couldn't be more grateful for the opportunity to again work with Meghan Gambling (and to join forces with the other lovely ladies of Bonnie's Future Sisters). Aside from acting, Sarah is completing her Masters degree in Library and Information Sciences through the University of Oklahoma and moonlights as a librarian at The Simpsons. Epic thank you's all around to those who have supported this project; it means the world to her.